It’s hard to deny that historic New Orleans—known for its yearlong culture of celebration—is a romantic epicenter for planning an elopement. 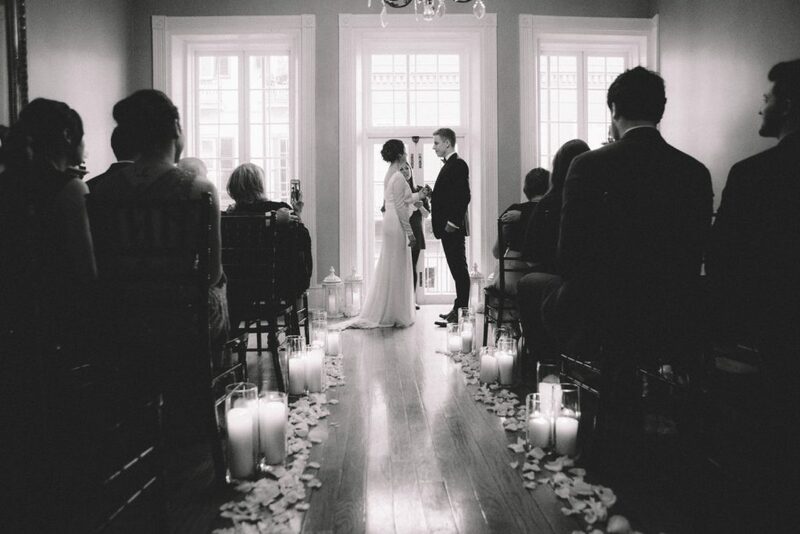 Whether you’re looking to wed in the stunning Algiers Courthouse or exchange vows in the heart of Audubon Park, New Orleans is a fine place to craft a unique and personal wedding ceremony. Setting the date is a surprisingly personal decision. Time of year and the length of your planning process can significantly influence the wedding-prep experience. For example, start by considering the weather patterns of New Orleans. Sticking to the less-humid fall or early winter will help you avoid summer’s humidity or the Mardi Gras crowds of the spring. If you’re seeking a small, indoor affair, mid-winter is a lovely time to find plenty of peace and privacy. If you plan to invite more than 10 guests, it’s best to initiate preparations at least 3-4 months ahead of time to ensure everyone can set the date aside. Depending on the size of your guest list, steer clear of holidays or family events that may keep your inner circle from attending. Louisiana requires at least two witnesses, so consulting these two loved ones is a good place to start. You may also want to consider your financial timeline, no matter how small the event. Avoid stress by taking the proper amount of time to organize and set aside your desired budget. 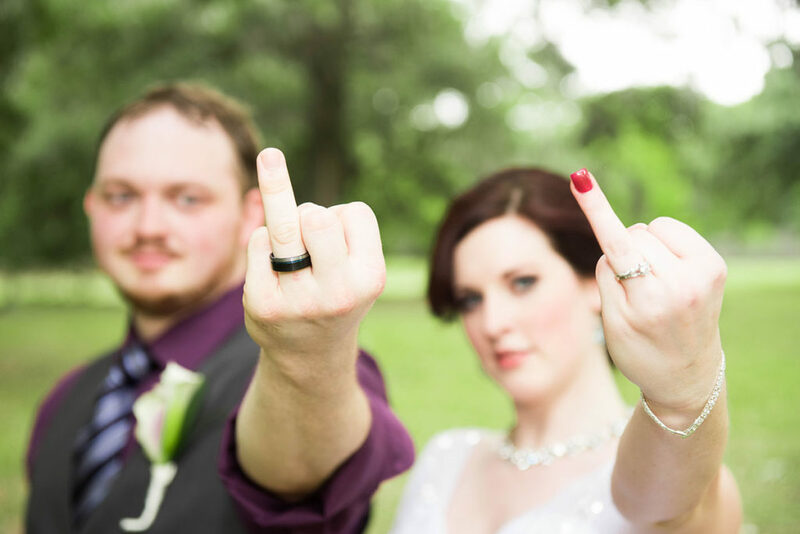 Aside from you and your partner, the officiant is the most collaborative party in the ceremony itself. Even in small weddings and elopements, every person’s individuality contributes to the energy of the day, and the officiant helps set the tone. An experienced officiant will help you determine the best rituals, readings, and overall message of your ceremony. On a logistical note, be sure they are available—and able to travel—on your chosen date. If you feel more comfortable adding a rehearsal, ask about this perk in the initial consultation. 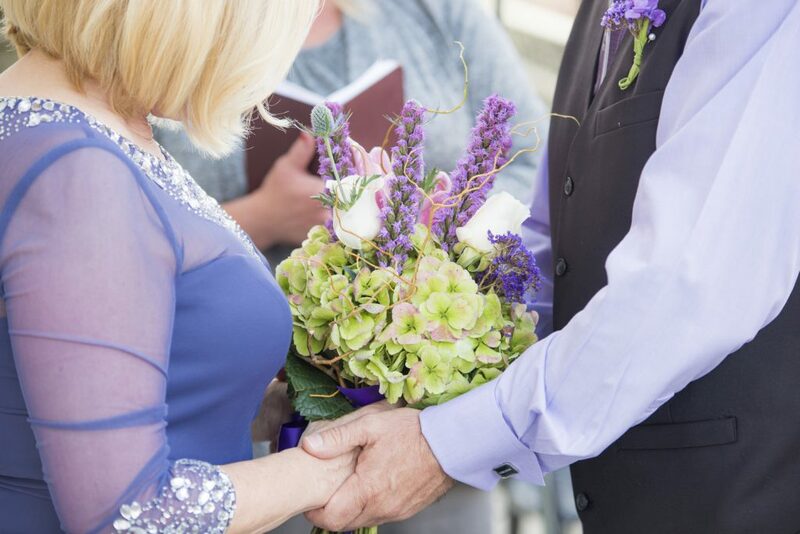 You may also choose to invite a friend or family member to personally officiate the ceremony—conveniently, Louisiana allows online ordinations. Check out Universal Life Church for more details and requirements. This part of the design process is solely in your hands—and it’s a great way to put your personal stamp on the experience. If professional photos are essential to your design, seek a photographer in the area that both understands your desired energy and has experience with the area. Photographers often lend an extra hand to the coordination of the day itself, and having those details lifted from your shoulders is an extra perk throughout the wedding. Though you may want to keep the event simple, other vendors to consider include florists (for bouquets and arbors), hair and makeup stylists, wedding attire designers, and post-ceremony celebration details, such as a carriage ride or NOLA-style wedding parade. Consider coordinating personally with local businesses to enrich the wedding with even more New Orleans charm. In such an intimate and unique planning process, the more face-to-face interactions, the more exciting and memorable the process becomes. 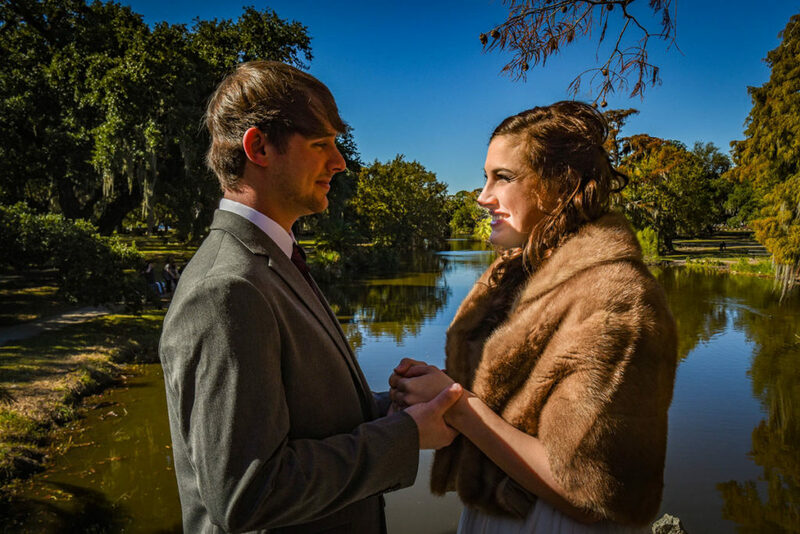 Audubon Park: If you’re thinking small—under 25 people for a free ceremony—check out the versatile offerings within Audubon Park. 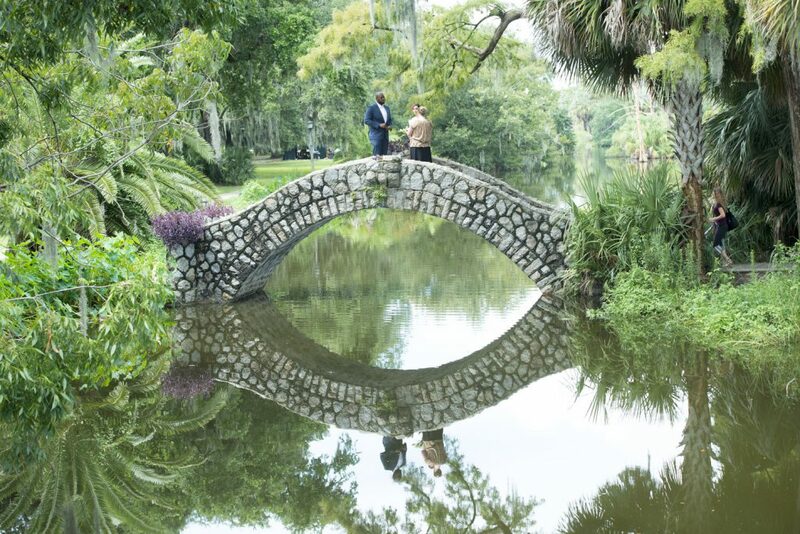 Exchange vows beneath the famous Tree of Life, in front of the ornate St. Charles Avenue Entrance, or on the banks of the one of the many ponds and lagoons. Groups over 25 require a $75 permit. City Park: Another excellent low-cost option, City Park offers plenty of secluded nooks to say “I do,” surrounded by your closest loved ones. If you wish to include a photographer, the park requires a $50 fee. Louis Armstrong Park: Embrace New Orleans’s French Quarter and Jazz Scene in Louis Armstrong park—a popular yet secluded option for a stunning ceremony. You will need to set more money aside for this option, since couples are required to book the whole park for such an event. City Hall: The Algiers Courthouse combines architectural history with practicality. Past couples suggest taking the ferry before the ceremony, providing a great opportunity for photos and sightseeing. The First City Courthouse is a more traditional and centrally located option. More details on City Hall weddings can be found below. Obtain a marriage license at the Orleans Parish Marriage License Office on Poydras street between 8:15 a.m. and 3:15 p.m., Monday through Friday (note that they’re closed on major holidays), or from Second City Court of New Orleans in the Historic Algiers Courthouse. Ceremonies must occur within 30 days of the issued license. Both parties of the couple must be present to obtain the license (with exceptions for those currently on military deployment), and bring a series of necessary documents and IDs. Pay $27.50, and an additional $5 for extra copies of marriage license (helpful for post-wedding name changes). Be sure to bring cash. Typically, the state requires a 72-hour waiting period for license processing, but if you hope to get married in City Hall that day, the wait period can be waived during the office hours for Louisiana residents. Non-residents can have the wait period waived if being married by a registered New Orleans officiant. Two witnesses (in addition to the officiant) must be present to sign the marriage license. After your ceremony, you and your (new!) spouse will sign the license with the officiant and two witnesses. The state will review the signed license and issue the certificate to document that the marriage is legally binding. Step Six: Enjoy Your Wedding Day! or arrange ample travel time before the big day. If you arrive early, you can always plan to explore the area with your photographer. Also, consider packing an “essentials” box prior to the day to assure you have all the necessary documents, props, and fees in one spot. This way, all your focus on your wedding morning is on each other, your excited group of loved ones, and celebrating this new, beautiful chapter in your life together. In such a stunning and accessible city, wedding details simply fall into place. 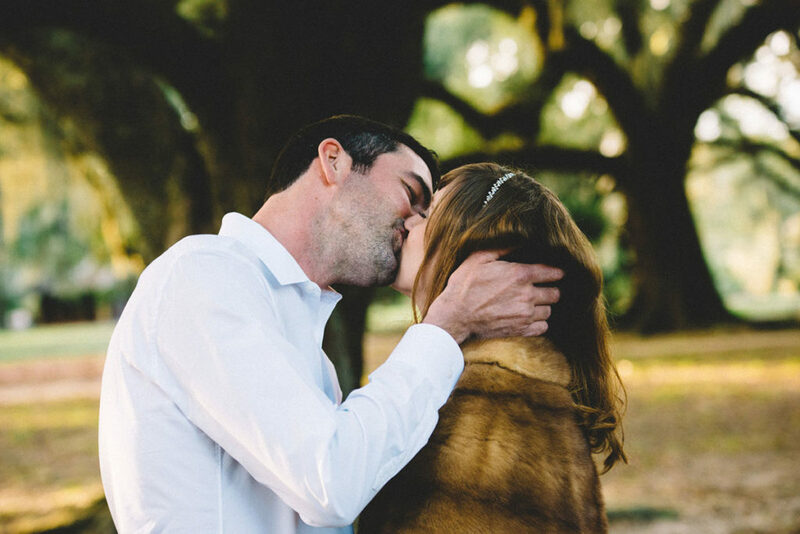 With a bit of planning and a little knowledge about how the city ticks, eloping in New Orleans is a deeply memorable experience from start to finish.